Flew off north from the quarry at 20-30 this evening............Birdguides. Also 2 x Dunlin , 2 x LR Plover and 2 x Common Tern..........Sandy Hill. Turnstone one in Tad Bay , also 2 x Sanderling at Admaston Reach...Birdguides. Grey Plover flew west @ 14-05.........R Powell. Black Tern early morning but flew off at 7-30.....NS. Sanderling x 20 this morning also Arctic Tern........Birdguides. Kittiwake adult on sailing lake........Birdguides. Osprey again over Tad Bay , also 2 x Sanderling at Admaston Reach........Birdguides. Little Stint mid-afternoon but flushed and no further sign........J Allen. Sanderling x 6 this evening , also 20 x Dunlin and 12 x Ringed Plover.....JA , AA. Still present at 19-00 this evening. Also present 18 x Ringed Plover , 12 x Dunlin , Curlew and 12 x Goosander.....RP. Ruddy Shelduck x 2 on the island on main lake at 8-00.......Birdguides. Avocet one present this morning.....G Williams. Red Kite over Lower Hatton this morning........PJ. Sanderling one present this evening.......GE. Sanderling x 6 present today.......GE, PW, NS. No sign of Spoonbill this am...........SS. 4x Arctic Terns flew through plus a Oystercatcher.............JJ, CW. 6x Sanderling on main lake......................Birdguides. Osprey in Tad Bay then flew north at 16-15......Birdguides. Black-tailed Godwit x 4 still present , also Hobby over.....BB. 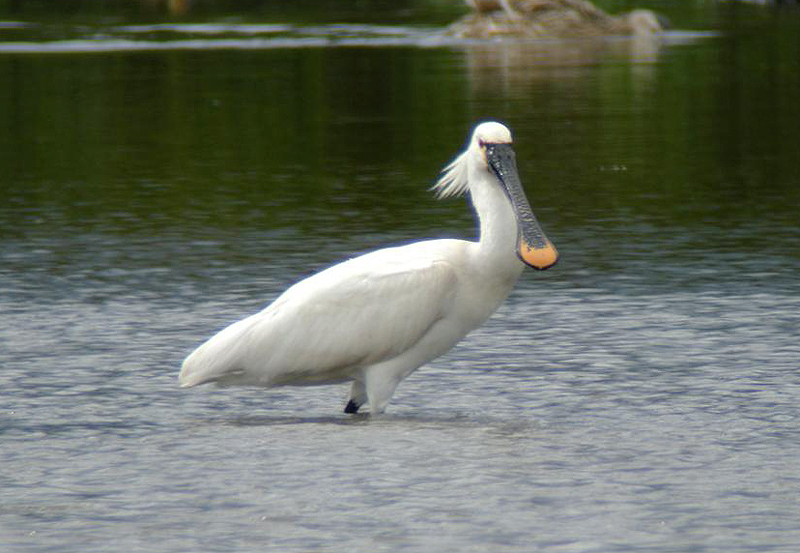 Spoonbill Doxey Marshes......photo by Steve Gibson. Spoonbill Doxey Marshes.....photo by M Turner. Spoonbill still showing from hide late afternoon.......Birdguides. Black-tailed Godwit x 4 still present.....BB. No sign of the female Red-necked Phalarope this morning in Tad Bay.....Birdguides. and Spotted Flycatcher............GB , SS. during evening of 19th May..........Birdguides. Wheatear x 2 and Spotted Flycatcher this morning.........RT. Black-tailed Godwit x 41 at west end this afternoon........Birdguides. on opposite side of the river , also 8 x Black-tailed Godwits..........Birdguides. Sanderling one present early morning........Birdguides. Red-necked Phalarope in Tad Bay........Birdguides. Also Hobby , Peregrine and several Yellow Wagtail........AR. Osprey flew over Blurton heading south this afternoon.................Birdguides. Turnstone on the dam , also 2 x Sanderling......Birdguides. Sanderling one this evening......... Birdguides. Whimbrel in Tad Bay at 17-00 , and Osprey reported at 12-30.....RCB. Dunlin x 2 , LRP x 2, Ringed Plover x7, Redshank and Common Tern x 2.....RS. Crossbill x 20 present yesterday......PJ. Sanderling and 14 x Dunlin this afternoon.......NP, ST.
A Shelduck went through briefy this morning.......................NS. Red Kite over west at 11-30 this morning. Greenshank , Dunlin x 6 and 25 x Ringed Plover.......J Harris. Common Sandpiper x 2 early morning.....NS , CW , SS. 14x Sanderling this morning.............S Turner. Avocet x 2 this evening on Sandy Pit , also 2 x Y L Gulls.........Birdguides. Red Kite over also Hobby........KT. 3x Pink-footed Geese on playing field, also a Snipe flew over...........CW, NS. Sanderling x 9 present this afternoon and Whimbrel this evening.........Birdguides. Ringed Plover x 40 and Dunlin x 31.........R Powell. Sanderling one present this afternoon.........Birdguides. Black-tailed Godwit x 2 this evening.......Birdguides. 4x Whimbrel flew over early am, also 3 Cormorants....NS. Wheatear x 5 (probable) Greenland present this afternoon........RT. Arctic Tern at west end and Sanderling through at 13-55.........Birdguides. Dunlin x 3 and 9 x Ringed Plover........J Allen. Black-tailed Godwit x 5 still present......BB. Birdwatchers Springfair May 21st . 22nd. Birdwatchers Springfair at Middleton Hall this weekend May 21st / 22nd. Black-tailed Godwit x 40 on pool this morning.........Birdguides. Garganey drake in Tad Bay and Wood Sandpiper in Blithe Bay briefly.....Birdguides. Black-tailed Godwit x 2 early morning........JJH , SJH , BM. Wheatear , Tree Sparrow x 6 and Corn Bunting x 4........JJH, SJH, BM. on the sewage works early morning.........NS. Whimbrel x 2 around north pits early afternoon.....Birdguides. Temminck's Stint on large lagoon off west shore this afternoon.......Birdguides. Common Sandpiper x 2 early morning around main lake......NB. Hobby over gas works @ 10-15........JJ. Quail male singing in field between rough track and Sittles Farm this morning........Birdguides. Osprey flew over heading northwest mid-morning........Birdguides. Bar-tailed Godwit , Dunlin x 4 from first hide........Birdguides. Hobby over Anson's Bank this morning........Birdguides. and Little Egret.............AB , MP. Spotted Flycatcher x 2 present this morning......R Toon. also 15 x Grey Plover...........Birdguides. plus 18 x Ringed Plover flew through..............JW. Hobby , 2 x Common Tern , 2 x White Wagtails and 4 x Ringed Plover......NP , RP. Grey Plover one through this afternoon........Birdguides. Cuckoo and Tree Pipit @ Swineholes Wood........D Powell. Avocet one on north pit , also Dunlin x 5.......J Harris. Common Sand , Yellow Wagtail , and Wheatear , also Cuckoo yesterday.....NP. Peregrine and 5 x Swift over at 19-05.......SS. Cuckoo calling late afternoon......D Powell. Barwit on main pit from hide.......Birdguides. Wryneck.......Marshes Hill ..photo by Steve Seal. left hand side in gorse and small birch tree....SS , GB , PJ . viewable from the rough track.........Birdguides. Wood Sandpiper x 2 at west end this afternoon , also Greenshank x 2.......Birdguides. and 6 x Arctic Tern........Birdguides. Spotshank one on north pit , also Wood Sandpiper and Ruff x 2............Birdguides. Cuckoo in trees behind car park this morning.......CG. Whinchat x 2 in the white door paddock this morning.....MT. Dunlin x 2 , Hobby , Goosander x 7 , Common Tern x 2 , White Wagtail x 2......R Powell. Garganey drake in Blythe Bay , also Grey Plover.........Birdguides. Wood Sandpiper untill 11-00 only , also Arctic Tern x 5 north at 17-15......R Powell.